Music is an adventure. Start yours today. If you're looking to broaden your musical horizons or hone your skills, look no further than TGF! 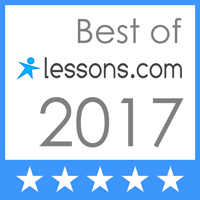 We offer everything you need to make the most of your lesson experience. From locally renowned instructors, to flexible scheduling, alongside events, classes, and performances for students of all ages, all in a friendly, relaxed environment. There's nowhere better to find your inner rockstar! Private lessons are 30 minutes, once a week, at the same time and on the same day each week. Lessons are paid for monthly, at $91 per month + a one-time $25 registration fee. 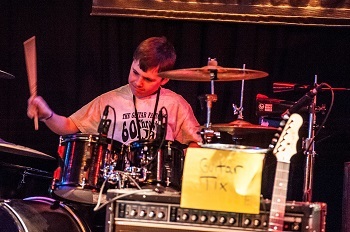 We offer lessons in guitar, bass, drums, piano, voice, brass, woodwinds, and more! All Are Welcome - No matter your age, skill level, experience, or style, our team of diverse, highly-trained instructors will help take your playing to the next level. Flexible Online Scheduling - We know you're busy. We offer hassle-free, easy lesson scheduling that fits your life. Personal Touch - Our lessons are one-on-one, once a week, with instructors that work to suit your personal needs. 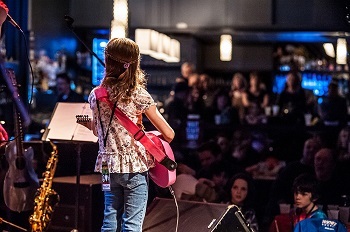 Beyond the Lesson Room - We offer many programs and opportunities for our students to experience the thrill of playing live, in real venues. 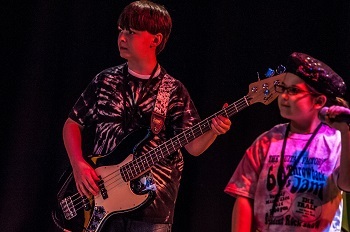 Student Jams, Summer Rock Camp, Rock Factory, and MORE are all offered throughout the year to highlight and celebrate the achievements of our students. NOTE - Payment for the first month of lessons must be made in-store prior to your first lesson. Please arrive 15 minutes early on the day of your first lesson to ensure payment is completed. You can now register for lessons ONLINE! It's the quickest, easiest way to get scheduled with your ideal teacher at your ideal time!